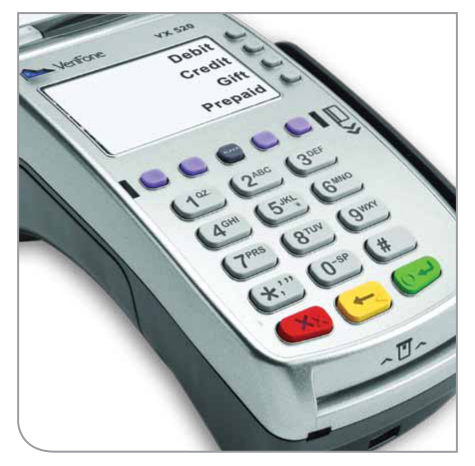 This attractive all-in-one device features everything you need to easily and securely process payments.The VX 520 supports a full range of payment types including credit,debit,EBT and gift cards. And it’s ready for acceptance of secure EMV “chip” cards,protecting you and your customers from counterfeit card fraud. The VX 520 also has integrated Contactless technology that extends the convenience of “tap and go” payments and prepares you for the acceptance of mobile wallets.